Denounces “Outright Lies” About Tribal Elder Staredown. The Kentucky teenager at the center of a media circus has spoken out after receiving death threats over a widely misreported incident with an Obama tribal elder on the steps of the Lincoln Memorial in Washington D.C.
"I am the student in the video who was confronted by the Native American protester," reads a statement by Nick Sandmann, the Covington Catholic High School junior who was initially accused of taunting the drum-beating activist, prominent activist Nathan Phillips, only to be vindicated after the full video revealed that the Native American troupe approached the teens amid a tense standoff with a group known as the Black Hebrew Israelites, while the teens peacefully held their ground. i wonder if they'll question him on his lies about his military service? the guys at Stolen Valor are pretty hot under the collar about it. "... allegedly mocking a Native American at a rally in Washington, DC...."
not just a "Native American"
a "Native American Elder, Vietnam War Veteran"
Where were the school chaperones who allowed this incident to get out of hand - at the very least they should have stood between the students and the other group to act as a buffer! in what way did this incident "get out of hand"? 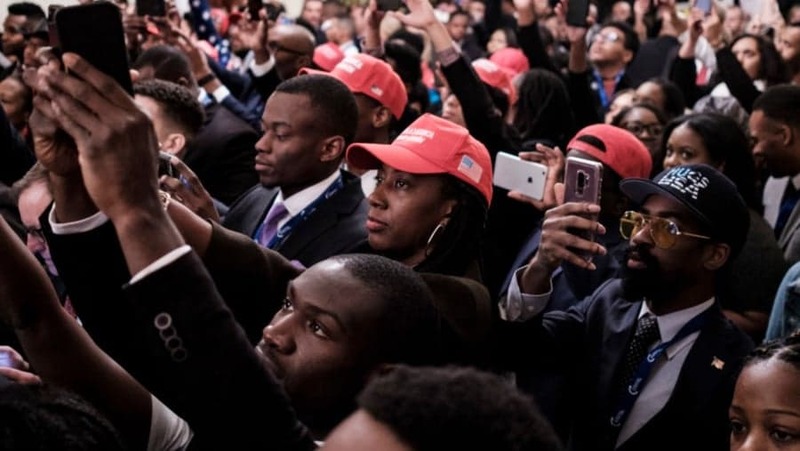 Young black conservatives wore Make America Great Again caps and chanted the president's name at the White House. 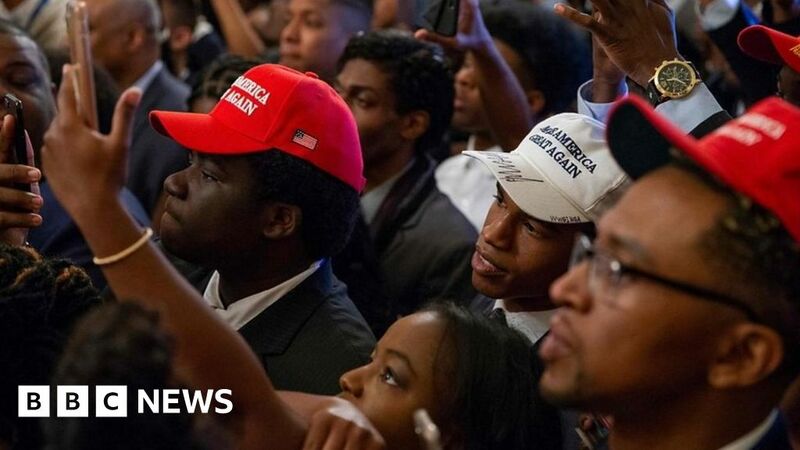 Mr Trump won just 8% of the African American vote in the 2016 presidential election and critics accuse him of stoking racial tensions. He lied about being a "recon ranger", whatever that is, but he never said he actually served in the Vietnam War. He said he served in "Vietnam times" which is an odd phrasing but as far as I know he never said he actually was in Vietnam. Former Navy SEAL Don Shipley posted about this last week and Shipley is usually very thorough in his research. Plus, he's fricking hilarious as well. Oh wow! Hahaha. I stand corrected. This guy can't even remember his own lies! Thanks for the update, Doser.